On Friday I was feeling pretty exhausted but had to pull myself together fairly quickly to look presentable for meeting up with some of my favourite people for some drinks and dancing. The quickest and easiest way to take a post-work face to looking cocktail ready is a bright lip, so that’s what I went for. My bright lipstick of choice was Estee Lauder Pure Colour Long Last Lipstick in ‘Wild Violet’, a really bright, deep magenta pink which is creamy but with shimmer. 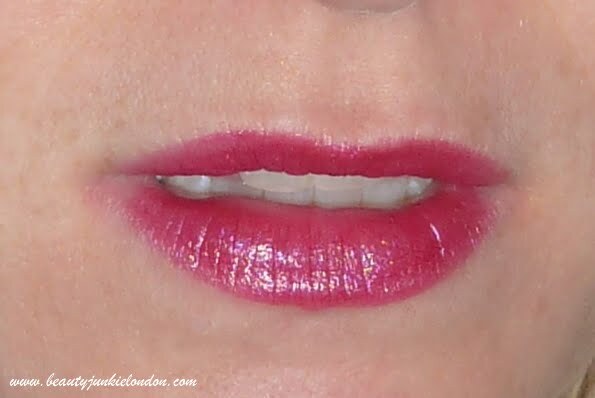 Like all the Estee Lauder lippies I have tried, it slides on easily and feels lovely to wear. Since it’s a long lasting lipstick I did expect it to last well – which is did. Although I did re-apply a couple of times just to make sure the colour stayed really strong, and it looked really vivid in all the photos from the night. I really like how this lipstick feels creamy and moisturising, which is unusual for long lasting lipsticks as I usually find them quite drying. 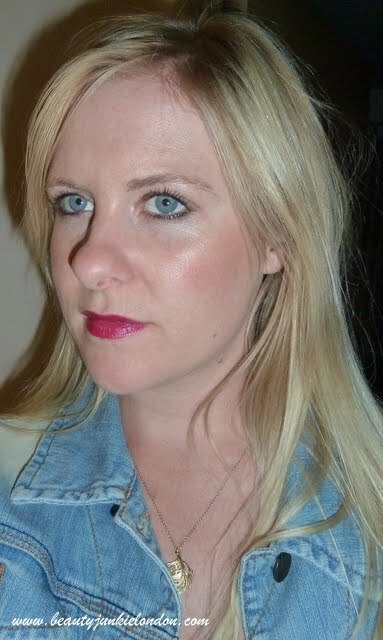 You can see the slightly glossy sheen in the pic below, that’s just the lippie – no gloss or balm at all. I am always looking for the best selling lip shades so thank you for sharing!